Canada’s new government was sworn in yesterday. The new Cabinet is dramatically different from its predecessor, with a marked decrease in age, the achievement of gender parity in its composition, and greater diversity of representation. As I watched the swearing in of the new Cabinet, I wondered whether the new Cabinet will use social media more or differently than their predecessors. And I thought it would be an interesting research project to track their use of it over time. 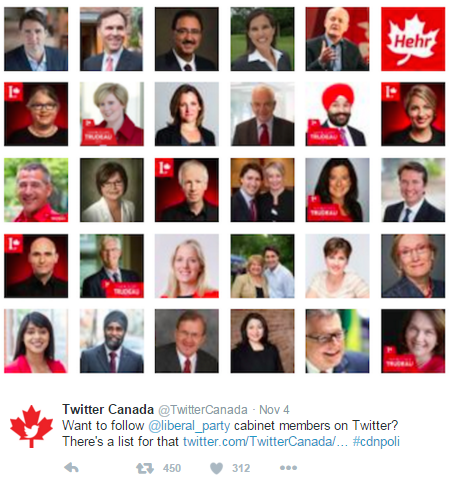 So, today, I’m launching the first what I intend to be a series of posts looking at how the Trudeau Cabinet is using social media. Today’s post looks at the use of Twitter on the day that Cabinet was sworn in. How did I go about developing this perspective? I created a watchlist of these IDs in 76insights, the tool we have developed to track which social objects resonate with people. Resonance is the flip side of engagement. Something resonates when it drives people to take action. And on Twitter, this means that people actively shared the post with their friends or added it to their favourites list. The thirty Cabinet Ministers collectively published 86 tweets on their first day in office. Looking at the total day, we can see that the Cabinet members were more or less silent prior to the 10AM swearing in ceremony. The first to break the silence was Patty Hajdu, who tweeted her excitement at 9:18AM. 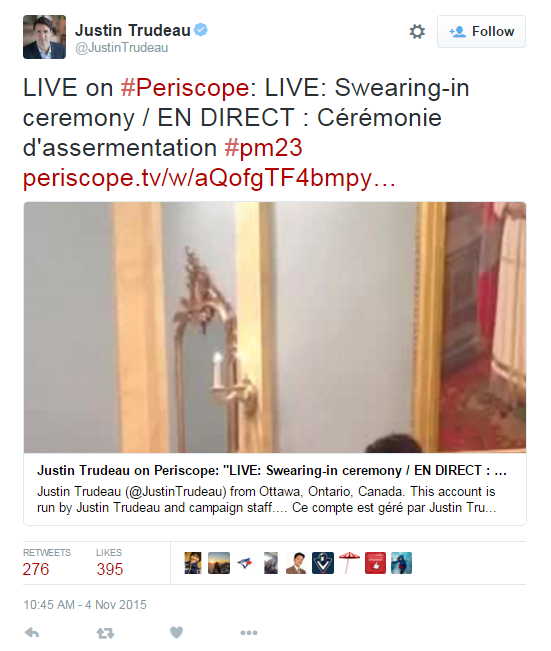 The real action began with a tweet from @justintrudeau’s account displaying a Periscope of the swearing in ceremony inside Government House. Once the ice was broken, the tweets came hard and heavy until mid-afternoon, when there was a relative quiet time. Clearly, Trudeau’s Cabinet realized that tweeting from inside the Cabinet meeting room is a no-no. The first to break the Cabinet meeting silence was Prime Minister Justin Trudeau’s account, which tweeted the dates of the return of Parliament and the Throne Speech. 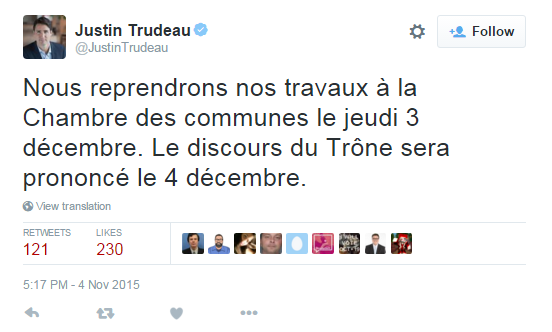 Following Trudeau’s post, tweets by his Ministers recommenced at a strong pace. There was a two hour silent period from about 7PM until 9PM, which I assume corresponded to a dinner for the new Cabinet Ministers. But once that was over, the tweets pick up again at 9PM continued until midnight. Who can blame the new Cabinet Ministers for celebrating late into the night what may well have been the best days of their life? 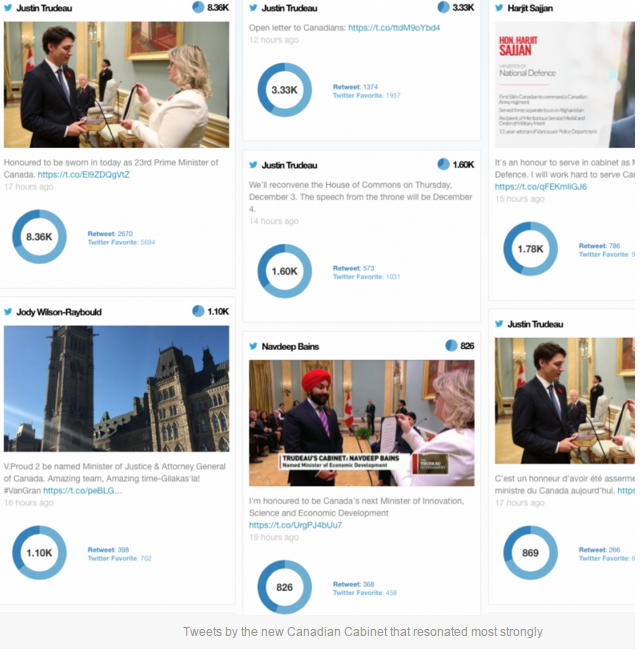 Collectively, the new Cabinet Ministers 86 tweets were shared or favourited over 24,900 times, for an average resonance score of 289. Anyone who is on Twitter knows that only some of the things we post will actually resonate with other people. In fact, most tweets go unremarked and trigger zero reaction. The same was true of these tweets. Some of the Cabinet Ministers’ tweets failed to move anyone to active engagement. On the other hand, some were passed around and favourited thousands of times. 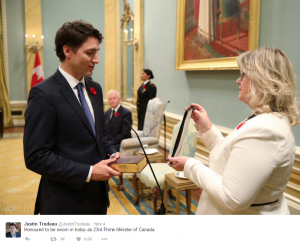 When it comes to making a mark, this was clearly Prime Minister Justin Trudeau’s day. Two of his tweets resonated most strongly. The most shared and favourited tweet of the day, with a resonance score of 8.36K, was this tweet marking the Justin Trudeau’s swearing in as Prime Minister. 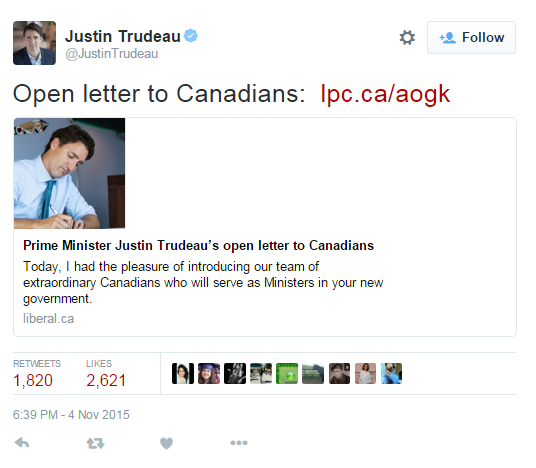 The second most resonant tweet, with a resonance score of 3.33K, was the PM’s early evening open letter to Canadians. But Trudeau isn’t the only member of his government whose tweets resonated with a large number of people. Several of his Ministers posted tweets that struck a chord. 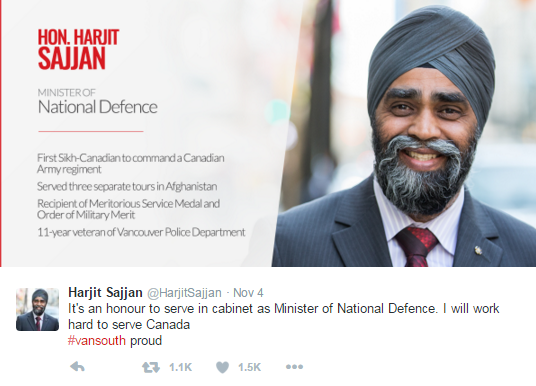 Canada’s new Minister of National Defence, Harjit Sajjan’s tweet earned a resonance score of 1.78K. 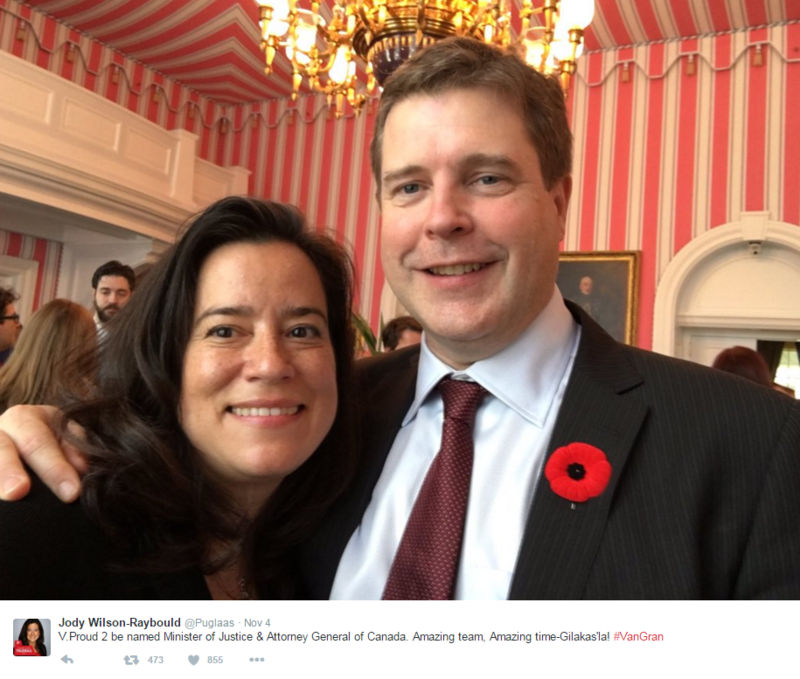 A tweet by Canada’s new Minister of Justice & Attorney General, Jody Wilson-Raybould, followed close behind, with a resonance score of 1.1K. 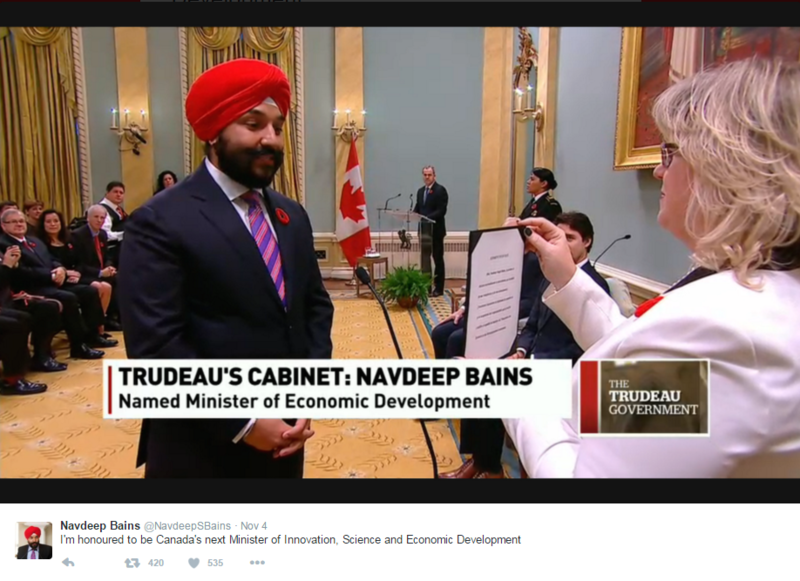 A tweet by Navdeep Bains, the new Minister of Innovation, Science and Economic Development, earned a racked up a resonance score of 826. 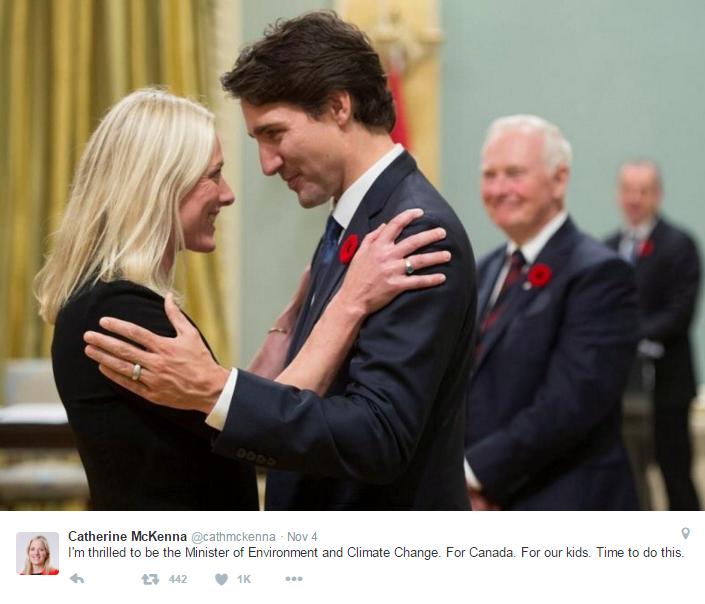 Late in the evening, a 10:59PM tweet by new Environment and Climate Change Minister Catherine McKenna elicited a strong reaction, earning a resonance score of 627. 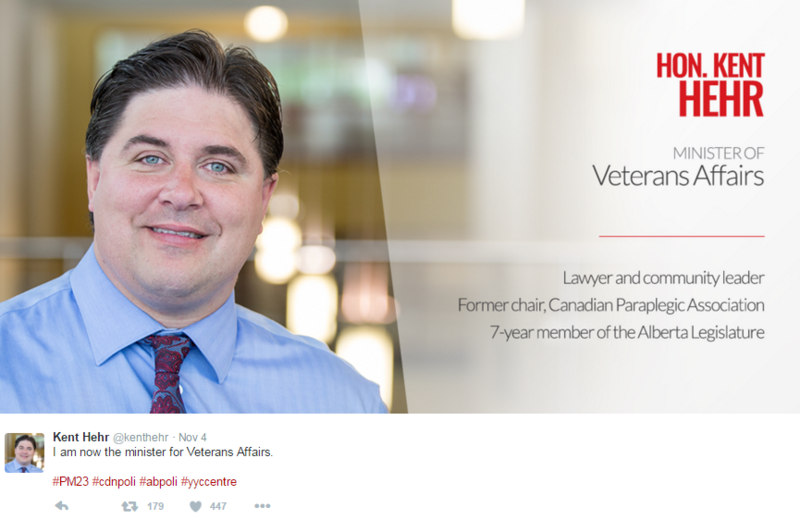 Finally, Kent Hehr, the new Minister for Veterans Affairs, chalked up a resonance score of 593 with his tweet. Will they make the most of their potential to engage directly with Canadians? Obviously, the tweets posted yesterday were more celebratory and thankful than substantive. However, several of the members of the new Cabinet demonstrated the potential to move large numbers of others to share their messages on twitter. It will be interesting to watch whether they make the most of this potential. Can social media help ease the way to health care reform?